Alpha Pest Control, a family owned and operated company, has provided pest control services to Phoenix, Arizona residents since 1987. That's over 30 years of experience working for you. Our structural pest control experts are your pest management specialists for all your residential and commercial needs. Superb for the past 5 years!!! Jeff has done a tremendous job for a long time for us...I would be happy to recommend his services! Alpha Pest service is wonderful. They are all very friendly and care about their clients. We have used them 8 years. I highly recommend them to anyone. Excellent service, friendly and easy to work with!!!! 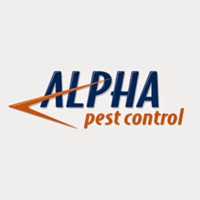 We have worked with Alpha Pest Control for several years. They have always provided friendly customer service and timely service. We will continue to work with them. We have been very happy with our experience! Feel very comfortable and safe when they are spraying our home. They’ve done more than I imagined!! Fast and reliable. I’ve been a customer for 20 plus years and cannot imagine using another company for my pest control needs. Great service, never have to worry whether or not things are taken care of. The Alpha pest team has always been prompt, efficient, and courteous. Whenever a problem arises, Jeff would be quick to respond and fix the issue. Two thumbs up. I think you guys do a great job, thorough and very courteous. Great customer service. Very happy doing business with Alpha Pest Control! I wanted to say thanks for the reminder texts. They are great and the fact I can reply to them Makes things convenient. Keep up the good work. Jeff and his team do an excellent job. We’ve been using him for years. Highly recommended! Jeff and his team rock! We are very very pleased with the service we received. Jeff of Alpha Pest control was polite and professional in communicating everything that needed to be done. Super nice guy got right in his suit and problem solved. Arrived as scheduled - very thorough - went above and beyond. Great fast, friendly service. No pest issues since I started using them. Always on time, work quickly, keeps the pests under control. Always on time, excellent service, technicians are friendly. Alpha is a very professional operation that is extremely knowledgeable, courteous and great to work with. Love the kindness they show. Everyone I've dealt with has been professional and I haven't seen any bugs, AT ALL!!! Last company I used I still had spiders and they told me they'd have to spray at night. Alpha has always served us well. Their services are the best. Give them a try!! Great service, and good people to work with. The technicians are always on time and they do a great job. We chose Alpha Pest Control because the previous owners used them and were happy. They have been great to always notify us ahead of the day and time. I trust them in my home and they are always friendly and efficient, dealing with our pesty desert problems.. 🦂. Always dependable. Solid consultations on pest control. Excellent value. Deserves highest of trust. I highly recommend Alpha Pest Control. They are professional, punctual and always take time to talk to me about what I have experienced since my last service. I rarely have pests because they do such a thorough job. I highly recommend them!! !